Do the rich pay taxes on their Cuban cigars? It seems the folks at Big Government have revived an old meme which circulated two years ago regarding cigarette taxes and lower income individuals. According to the propaganda site, Democrats are considering a tax hike on the poor by increasing an excise tax on cigarettes. President Obama called for tax hikes worth $1.5 trillion on Monday, but in a less remarked-upon move, members of Democratic leadership in the U.S. Senate have also been pushing for tax increases of their own. However, unlike Obama’s proposal, which is squarely focused on enhancing the revenue that upper-income taxpayers are required to pay out, the proposal being pushed by Sens. Durbin, Murray and Begich (respectively, the Assistant Majority Leader, the Secretary of the Conference and the Chair of the Steering and Outreach Committee) aims to raise taxes significantly on some of the poorest Americans. A group of 14 U.S. senators — all Democrats — are using a familiar strategy as they try to raise the federal excise tax on tobacco products. Senate Bill 1403 would provide annual funding to the Individuals with Disabilities Education Act by essentially doubling the excise tax on cigarettes and small cigars. 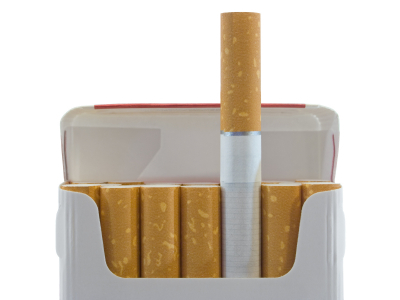 For example, the federal excise tax for cigarettes would go from $1.006 a pack to $2.01. American smokers are disproportionately poor. Back in 2009, when the last federal cigarette tax increase was set to go into effect, Gallup data indicated that more than half of smokers earn less than $36,000 per year; only 13 percent of smokers made $90,000 or more annually. Big Government quantifies being poor at making $30,000 per year or less. This is interesting considering all their whining about many "poor" Americans paying little or no federal income tax and the silence in regards to republicans who want to increase the taxes on those very same individuals. All this in the wake of Republican congressman John Fleming complaining that he gets to take home only $400,000 after taxes. Fleming is upset that his take-home cash is more then ten-times greater then the annual income of one poor person. Also consider this - $6.3 million divided by 500 employees comes to a whopping $12,600 per worker, but that is not considering rent, equipment, and food, so Fleming probably pays his employees far less. Who is engaging in class warfare now?